She is a talented actress with classic meditteranean beauty. He is greek italian and one of the finest chefs in both countries. 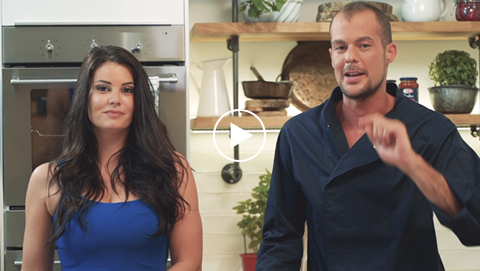 Giorgio Spanakis shared his cooking secrets with Maria Korinthiou in a fun, vivid and fast way, giving to traditional, well known recipes a new, modern and very italian twist in Madames Ginger kitchen.